Who can you call when your A/V or home wireless isn’t working? The world of technology is complicated. Your Smart TV is part of your computer network and movies and music stream from the Internet. You have A/V receivers, blu-ray DVD players, Sonos for music and Control4 for automation. What do you do if something is not working? Call us. 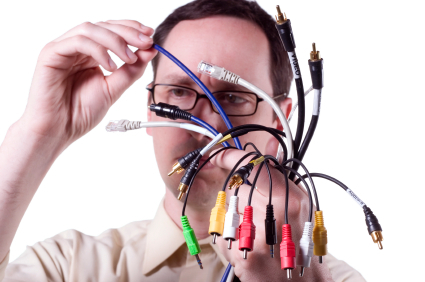 We can troubleshoot your electronic equipment and improve your wireless network. You can spend an hour or more on the phone with the cable company and still not get your problem fixed. We can isolate the issues and bring you a resolution with a lot less frustration. We even offer a Tune-Up Service where we address the nagging little problems, such as the universal remote not controlling the surround sound receiver properly or one room in your house not getting a wireless signal. Technology is hard but we make is easier. As always, tremendous job! Thanks again. 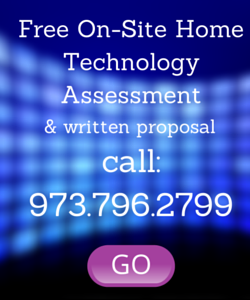 Future Home Technologies is an awesome team to work with. They listen to what you want and then make it happen. I can’t thank you enough for your support of this great community event in Mendham Boro. What an amazing job the crew did at my home. Both gentlemen were professional, friendly, patient and extremely proficient at their craft. I was truly impressed! Great job! Thank you! The Future Home team did a great job! Thank you. Thanks to your guys for a terrific job! Thanks for everything! Love the theater!! Many thanks for your help. All is good.